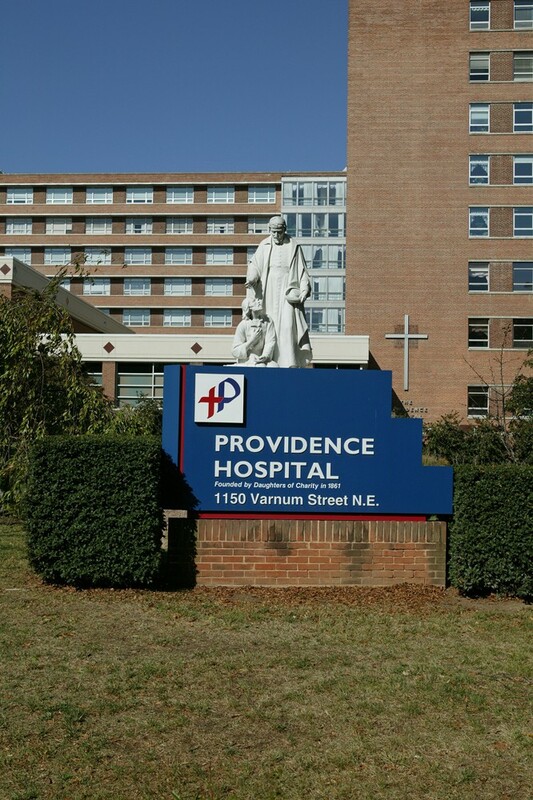 Providence is a 283-bed hospital in Washington, D.C. with an expert medical staff of more than 500 providers. Located near the Catholic University of America and Basilica of the National Shrine of the Immaculate Conception, the hospital is situated on a 36-acre campus within a vibrant suburban residential community. Access to the hospital is easy and safe, and parking is plentiful and free of charge. Providence is also easily accessible through the Community Physicians Network, comprised of 17 ambulatory care sites in Washington, D.C. and Maryland. Providence is proud to be part Ascension, the nation’s largest Catholic nonprofit health system. Ascension has 2,600 sites of care across the country and leads the field in world-class medical staff, cutting-edge technology and quality patient care. Founded in 1861, at the invitation of Abraham Lincoln, the Daughters of Charity began their service to District residents who were sick, poor and vulnerable. President Abraham Lincoln signed an Act of Congress to charter Providence Hospital, the longest continuously operating hospital in Washington, D.C.
Providence established itself as a teaching hospital when other District hospitals were flooded with war wounded during the Civil War. It is still a teaching hospital, offering three graduate medical teaching programs and serving as a rotational site for nursing and medical students and residents. The hospital has changed locations three times since 1861. The current campus in northeast D.C. continues to grow and evolve to meet the needs of today’s health care consumers.